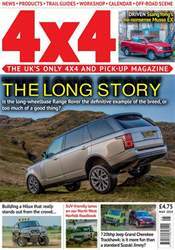 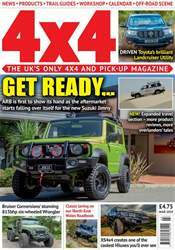 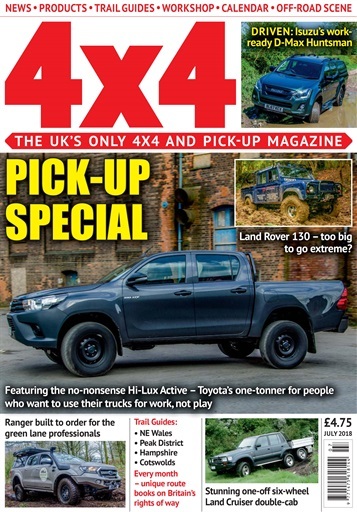 PICK-UP SPECIAL - Featuring the no-nonsense Hi-Lux Active - Toyota's one-tonner for people who want to use their trucks for work, not play; Land Rover 130 - too big to go extreme? 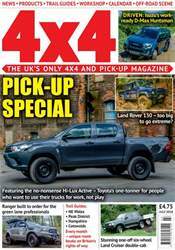 DRIVEN: Isuzu's work-ready D-Max Huntsman; Ranger built to order for the green lane professionals; Stunning one-off six-wheel Land Cruiser double-cab. 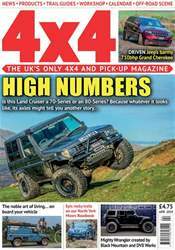 Trail Guides in NE Wales, Peak District, Hampshire, Cotswolds.